I'm looking for some book(s) that are generally regarded as a good introduction to Buddhism. I know very little about Buddhism, having only read one book on it so far (What Makes You Not a Buddhist by Dzongsar Jamyang Khyentse Rinpoche). I found the book entertaining, but I'm not sure it was the best introduction for someone completely ignorant on the matter. Are western takes on Buddhism - or at least books on Buddhism by western authors - a good way to start? Or should one jump right into books like the Tibetan Book of the Dead? What are some books generally regarded as good for a general introduction on Buddhism? First off, I wouldn't recommend Tibetan Book of the Dead, since it's not exactly a primer in Buddhism, I don't think. There are lots of introductions from various traditions; the perennial favourite is What the Buddha Taught by Walpola Rahula. He's also written pieces on the difference (or lack thereof) between the various schools, so he's pretty unbiased that way. Indian Buddhism by A.K. Warder is a great in-depth look at how Buddhism evolved, though like everything by the author it is terribly dense. Bhikkhu Bodhi is another modern author who has some good resources; his introductions to the nikayas, e.g. in The Middle Length Discourses of the Buddha, are well-done. He also has an audio series on-line about the same that seems well-received. I guess I'd be careful about modern sources either from the West or East as an introduction, since without a solid background, it will be easy to become swayed by skewed teachings. Reading the words of the historical Buddha himself would most likely help to provide such a background. Again Bodhi's translations are a good choice. I'll offer a controversial option, simply because it's the one that got me started (and in fact after reading it I don't believe the controversy is deserved). It's "Mastering The Core Teachings of the Buddha" (or "MCTB" by its fans) by Daniel Ingram . Perhaps the main reason it is controversial is because Ingram gives himself the title "Arahat" on the cover of the book, and that is a decided no-no in many if not most Buddhist circles. However, I really encourage people to look past that. Ingram was doing it specifically to raise a controversial aspect, and even he says he has since had second thoughts about choosing to do it. The most important thing though is, the content of the book is utterly independent of his "arahat" claim. If you can see past that initial single word and actually read the book, you will find he is centered on pretty mainline, orthodox Mahasi Sayadaw style meditation practice, but also offers a broad and fairly deep understanding of other styles of Buddhist meditation too. Overall, I think the book is superb, but I'll offer three caveats for those who do decide to look past the arahat thing and read it. "Without a sufficient store of spiritual power [which comes from ethical conduct], meditation, such as training in quiescence and insight may arise as little more than barren, mental gymnastics that transform neither the heart nor the mind"
Second caveat: because the book is so good at explaining meditation in depth, there's a danger one could get "attached" to the attainments one may experience as one advances in practice. So instead of just sitting and noting, one could just get frustrated at apparent lack of progress. I believe that some teachers purposely do not give students too much advanced knowledge too early, precisely to avoid this problem. So if you're reading the book, be aware of this. Take your time, and don't fret too much about the fact you don't attain fourth jhana by day four! Third caveat, and this is the most serious (much more of an issue than the "arahat" thing), is Ingram's focus on what he calls the "dark night". This refers to a subset of the stages of insight as described by Mahasi Sayadaw and others. I believe (I'm not that attained so I don't know) that what he is talking about is correct and it's very useful to know. But I also believe it is hugely over-emphasized. To be fair, it may be that it is Ingram's readers who create most of the over-emphasis, in various internet forums, but it's still a concern. All that said, despite those caveats and the "arahat" thing, I still very much recommend this book. You can infer from that, that the good parts are very good (since they compensate for the caveats). One of the classic introductions to Zen is Zen Mind, Beginners Mind by Shunryu Suzuki. Bhante Gunaratans's Mindfulness in Plain English is widely cited as an excellent introduction to Vipassana meditation. If you are interested in Vajrayana or Tantric Buddhism, I highly recommend the book by Reginald Ray titled, Secret of the Vajra World. He even covers a brief overview of other forms of Buddhism at the beginning, then dives into the Vajrayana. It's very clearly written and covers a wide variety of the aspects of Tibetan Buddhist (Vajrayana Buddhist) practice and masters who teach and have taught it. In Vajrayana Buddhism, the lineage and the masters are an important part of the practice, via a practice known as guru yoga, where one learns to emulate the ideal of a buddha by practicing with one's teacher as an example. This book is known as (marketed as?) a second volume in conjunction with the first (which is titled, Indestructible Truth) that covers other forms of Theravada and Mahayana Buddhism, however I found that the short intro to the Theravada & Mahayana in Secret of the Vajra World covered enough of that for me and that the other volume, though I read it, wasn't absolutely necessary, unless you are looking for a lot more detail on those earlier schools (and given your original question here, that first volume is probably in a LOT more detail than you'd like, for an introductory text). In short, I cannot recommend highly enough Reggie Ray's book, Secret of the Vajra World as a "standalone" introductory text to Tantric Buddhism, if you're looking for an understandable and comprehensive introduction to a frankly, pretty complicated development of Buddhism, which is the Vajrayana. Can I give a shout out for Jack Kornfield's excellent A Path with a Heart. I think it can be profitably read by a beginner or someone who has been practicing for many years. I've read it a couple of time I have every intention of reading it again. I think it's also good to get into the actual original texts. 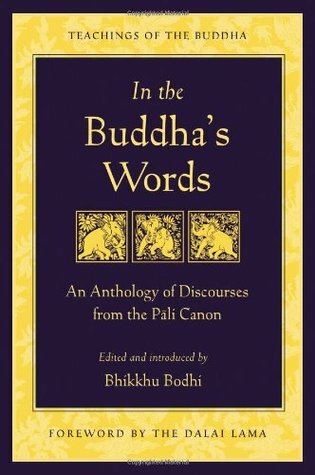 Bhikkhu Bodhi is very good as said by yuttadhammo and he has an anthology In the Buddhas words which might be a bit less daunting than the Middle Length Discourses. Well it will be certainly easier to lift. "Richard Gombrich: What the Buddha Thought"
The book is written by an English scholar. Gombrich does not consider himself a Buddhist but he expresses a high estimation for the Buddha's teaching. The title of the book alludes to the title of the book by Rahula mentioned above. Rahula was one of Gombrich's teachers. "Paul Williams: Buddhist thought. A complete introduction to the Indian tradition"
"Kogen Mizuno: Essentials of Buddhism. Basic terminology and concepts of Buddhist philosophy and practice." "John String: The experience of Buddhism. Sources and interpretations"
"Stephen Batchelor: Confession of a Buddhist atheist." The book is easy to read. If you want a really challenging look at your own life as a starting point, you could try "Cutting Through Spiritual Materialism" By Chogyam Trungpa Rinpoche, an edited set of talks given in the early 1970's. He came from Tibet to the USA and saw that Western people need a very different approach to deal with cultural context and ego-psychology differences from the East. I think this is an important point. I read it about 15 years ago, and recently began re-reading... It helped me all those years without me even being aware of it. Very powerful. Despite the name (which I dislike), The Monk and the Philosopher is a great introduction to Buddhism from a Western point of view. It's a series of conversations between a French-Buddhist monk, Matthieu Ricard, and his father, Jean-François Revel, a philosopher. I found it more compelling than classical Buddhist texts, including some of the ones suggested here. Lots of great suggestions above, but it looks to me like there's plenty of room to add a foundational Mahayana text to the mix. I suggest a complete presentation of the path in the form of a poem: Shantideva's "Way of the Bodhisattva" (Bodhicaryāvatāra). An especially poetic translation with commentary that helps make the immediate practical value of this text evident (omitting the very challenging 9th Chapter on the perfection of wisdom, which is really hard going if you're looking for introductory material anyway) is in Pema Chödrön's No Time to Lose -A Timely Guide to the Way of the Bodhisattva. There are excellent materials that convey some of the functions of this text in Indo-Tibetan Buddhism, along with translations of the first 3 chapters, freely offered by Lotsawa House. It's also certainly worth hearing commentary from the Dalai Lama on this text, who has said: "If I have any understanding of compassion and the bodhisattva path, it all comes from studying this text." (Cited from RigpaWiki) These teachings may be a little more challenging for a beginning student than No Time to Lose, but I think they are still immensely helpful and accessible commentaries for those who feel inspired by this extraordinary work. Maybe start with For the Benefit of All Beings. May the studies of all students of Buddhadharma bear the fine fruit of realization! What better teacher can you find for an introduction to Buddhism than the Buddha himself? 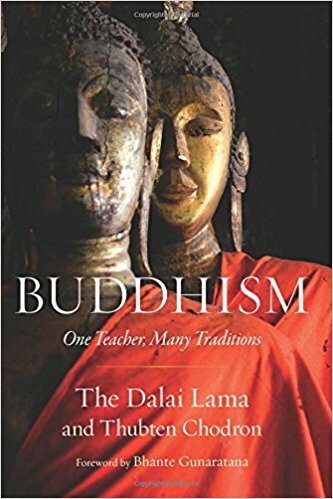 This is where I began and to my knowledge every extent tradition of Buddhism regards this book as authentic Buddhavacana. Hopefully the two books will give a solid introduction to Buddhism and Buddhist traditions. Above recommended books are very good. Also you can compliment the above list by adding books by Thanisaro Bikku who has done some good translations. Main thing is to always cross check with the source as the Venerable Sir points out. Most of the books are already mentioned and many of them are really good introductory books. I have one more to add. Its called "What Buddhists Believe" by. Ven. K. Sri Dhammananda. In here he discusses e.g. "The Life and Nature of the Buddha, His Message, Basic Doctrines, The Tipitaka, Kamma, Morality, Rebirth, Nibbana, How to lead a buddhist life and much more". The book is highly recommended. Also here is a Buddhist Dictionary - Manual of Buddhist Terms and Doctrines by Ven. Nyanatiloka. Buddhism is about meditation. Learn to meditate first. Then try to understand Buddhism. This was my method (and two books I highly recommend): learn the shortcomings of Vipassana/ mindfulness; and then try absolute samadhi meditation, or Jhana, or Zazen. On the subject of Meditation (Vipassana vs Jhana), Ajahn Brahm wrote an excellent book called Mindfulness, Bliss and Beyond. His central thesis is that without Jhana there is no enlightenment, he also said it was jhana not Vipassana that led to the Buddha's awakening. I have to agree with him. Seventeen years ago I started Vipassana (mindfulness) meditation and although it's a good foundation. I didn't progress very far. When I started studying and practicing Zen, especially absolute samadhi meditation as taught by Katsuki Sekida, this is when I began to truly understand the Buddha's teachings. I would add that Jhana, Zazen and absolute samadhi meditation is the same form of meditation: based on letting go... with focused concentration/absorption in the moment. Vipassana/Mindfulness is a continuous use of noting, but not absorption, because it would be impossible to do. That's the difference between the two methods of meditation. Absorption in the absolute moment leads to consciousness falling away. The beginning stages of the awakening process. Katsuki Sekida wrote a book called Zen training (methods and philosophy). I would get it, along with Ajahn Brahm book, as it definitely will help you. I guarantee it will deepen your understanding of meditation and Buddhism. I know in my own practice learning to let go of all conceptual understanding, thinking, and just let things happen, is when the magic appears in meditation, or I should say drops off. Waste of time talking about Buddhism. Buddhism is a very personal practice...absolutely no one can help you. Making it into a religion destroys it. All that really matters is the meditation. To the already very useful answers, I would like to add Joseph Goldstein's excellent book, Mindfulness: A Practical Guide To Awakening. He explains Buddhism from the perspective of the Satipatthana Sutta, so there is a huge focus on Mindfulness, but he does explain (very well) the Four Noble Truths and The Eightfold Noble Path as well. As the title explains the book is very hands on and practical in working with the mind, while also explaining enough of the theory that's required. I am still reading this book, but am really delighted with everything I have read. Tibetan Book of the Dead is the jewel of Nyingma school of Tibetan Buddhism and Vajrayana, and that is, therefore, a tantric path of Buddhism. Since tantra isn't the path of renunciation it is not an entirely Buddhist path, since its being selective about Buddha's teachings introducing many Hindu concepts to it. No, it is not good introduction to the core of Buddhism teaching, or Buddhism at all, it explains concept of Bardo that is non-existent in Theravada and original Buddhist canon. Not the answer you're looking for? Browse other questions tagged learning-materials reference-request or ask your own question. As a Buddhist, is it right to say that anything about Buddhism is right? Zen & Dukkha — Is Everything Suffering? What is the best introductory (but comprehensive) book on SECULAR Buddhism? Mindfulness of brain — references?